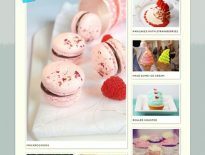 Azione is a neat, structured video blogging theme with a massive view port for your HD videos and photographs. Allows for unlimited videos to be displayed in a categorized format. New addition to an Obox Theme, we are using Googles shorten url plugin. Simply cut & paste the url of your video and we will get the embed code for you! Azione allows you to upload and host your videos on your own site. Simply use the JPlayer plugin to add the videos and we will do the rest by packaging it in the awesome theme design. Give your HD videos the space and attention they deserve with a massive 940px wide view port. If you want to use this as a normal blog with images instead of videos, it is 100% possible. We have made sure to include our standard image uploader with auto-resizing and filters. One Light and One Dark scheme. As a side note when you use the dark theme the video really is front and center, it’s an Obox favourite.